One day, I’d like to take a trip where I have time to chat, sit in pubs and write up my journals of where I am and what I’m doing. I’ll be pithy, worldly and insightful, kind of a combination of Bill Bryson, Michael Palin and Nick Danziger. This is not that day. tower with bird, originally uploaded by Mister Wind-Up Bird. Oh, also, the catacombs are really cool. 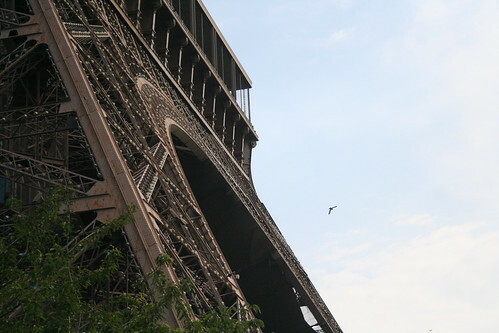 And the Eiffel Tower. Even the Louvre has it’s good points, though the Mona Lisa isn’t one of them. Madrid by Night, originally uploaded by Mister Wind-Up Bird. Madrid was cool, but the 38+ degree heat during the day got old fast. At least the city is one of these winding old European cities where everything is a twisting lane. Bad for navigation, but good for shade. Even better for shade is just to spend the afternoon indoors and go out in the evening, when the old city really comes to life. 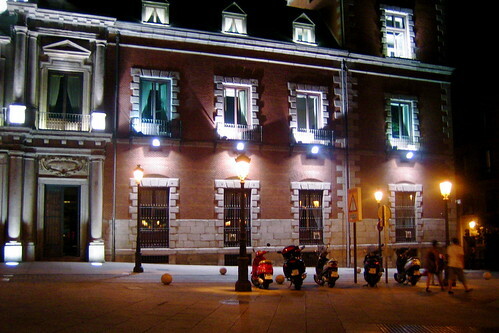 Spain may have 20% unemployment, but the bars and restaurants are pretty full. Didn’t hurt that the night after my talk was simultaneously the pride parade (the biggest in Europe), and Spain’s victory over Paraguay. 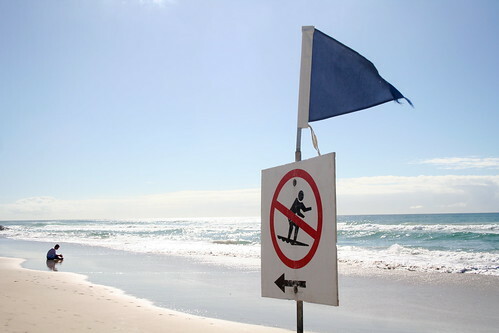 North Burleigh Beach, originally uploaded by Mister Wind-Up Bird. Then, it was so long Europe and Tyson, and hello Australia and Janelle (well, after thirty-odd hours in planes and airports it was). I’m on the Gold Coast now, Janelle’s home town. Pretty relaxing, but the entire city has a little bit of a vibe like a vacation town in the off-season. Which it kind of is, it being the middle of winter here. Our apartment was about 30m from the beach, so every day, I got to go for a run and watch the surfers. Lots of hanging out with Janelle’s friends and family, too, including a CRUSHING victory at the local pub trivia quiz night (Go, Occademics!). Also, some really nice trips to nearby Tambourine Mountain and Byron Bay. Internet situation has not been great, though. I was mostly reduced to the painfully slow, but free, McDonald’s wifi, since the rare coffee shops with wifi charge around $10/hour (!). However, McDonald’s here also serves some pretty good coffee (!!). Their flat whites are quite tasty. Such are my observations on international wifi availability and the differences between local and overseas McDonald’s (or, in Australian, “Maccas”). See? Travel does expand one’s horizons. 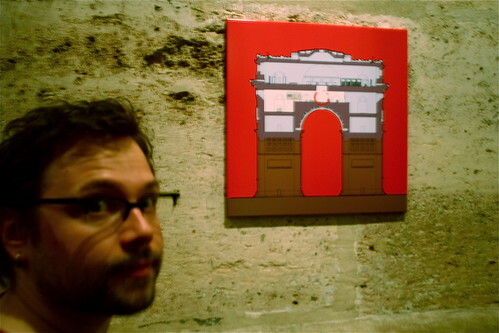 Eric versus the Arc de Triomphe, originally uploaded by Mister Wind-Up Bird. A full report will have to wait until I have more time and internets, but hey, yeah, I made it through Europe unscathed except for a couple of nasty blisters. I enjoyed bobo Paris more than a snarky small-town Canadian really should, Madrid was effing hot during the day, but great at night, and Germany, well, I spent a lot of time in German airports and they were fairly efficient, so there’s that. I’m in Australia now, where it’s actually possible to get free wifi, but time is short, so… more later.